← Should an Auto Dealer Insurer Defend an Auto Dealer Against “Intentional” Violations of Credit Sale and Leasing Disclosure Laws? By Greg Johnson. Over the past twenty five years, I’ve represented many companies engaged in the business of leasing or renting vehicles. In the 1990’s, prior to the passage of the Transportation Equity Act (49 USC § 30106) (a/k/a “Graves Amendment”) in 2005, a major focus in the leasing and rental industry was on developing contract language that would shift primary liability from rental car companies and auto dealerships to the customer’s personal auto policy when the customer caused injuries or damages as a result of his operation of the leased/rented vehicle. That was particularly so in states such as Minnesota which imposed unlimited vicarious liability on the vehicle owner for the customer’s negligent operation of the vehicle despite the absence of any fault on the vehicle owner. Since vicarious liability was here to stay in the dozen or so states imposing vicarious liability – or so we thought – I drafted rental car contracts for rental car companies and auto dealerships, temporary loaner agreements, policy endorsements and self-insured certificates which would at least shift primary responsibility for damages caused by the customer to the customer’s personal auto carrier. This would eliminate the rental company/dealership exposure in the vast majority of claims as most claims would be paid from the limits of the customer’s policy. The rental car company/auto dealership and their liability insurance (or self-insurance) would only be involved if the damages exceeded the coverage available under the customer’s policy. Over the next decade, the leasing and rental industry began to chip away at vicarious liability for businesses engaged in leasing or renting vehicles on a short-term basis. In a few of the dozen states imposing vicarious liability on vehicle owners, legislation was passed which eliminated unlimited vicarious liability in favor of statutory caps on that liability. Minnesota, for example, adopted a cap statute which limited liability to $100,000 /$300,000/$50,000. The statutes generally provide that notwithstanding the vicarious liability statute, the owner of a rented vehicle will not be vicariously liable for damages in an amount greater than those described in the cap. Then, in 2005, Congress passed the Graves Amendment, a federal statute that, in general terms, provides that companies that lease or rent vehicles may not be held vicariously liable for the negligence of those to whom their vehicles are leased or rented. This post contains a general overview of the Graves Amendment. Subsequent posts will address more unique issues such as whether the Amendment preempts vicarious liability against affiliates, owners of loaner vehicles, taxicabs, car sharing membership companies as well as the impact of the Amendment on self-insurance and drop-down liability limit arrangements. The Minnesota vicarious liability statute only applies to the “owner” (Minn. Stat. § 65B.43, subd. 4) of a “motor vehicle” (Minn. Stat. §169.011, subd. 42) which is involved in an accident in Minnesota. Boatwright v. Budak, 625 N.W.2d 483, 488 (Minn. Ct. App. 2001). (“[e]mploying a plain-meaning approach,” court held statute only applies “to accidents that occur within Minnesota”); Avis Rent-A-Car System v. Vang, 123 F.Supp.2d 504 (D. Minn. 2000) (Minnesota statute creating liability on part of owner for damages resulting from operation of automobile by another with owner’s consent did not apply to automobile accident in Michigan); West Bend Mut. Ins. Co. v. American Family Mut. Ins. Co., 586 N.W.2d 584 (Minn. Ct. App. 1998) (garage liability policy insuring Minnesota dealership’s vehicles did not afford any liability coverage for accident occurring involving dealership vehicle in Louisiana, a jurisdiction which did not impose vicarious liability); Vee v. Ibrahim, 769 N.W.2d 770, 771-775 (Minn. Ct. App. 2009) (what is a motor vehicle for purposes of vicarious liability statute). The statute is to be interpreted “liberally” to achieve its purpose. Christensen v. Milbank Ins. Co., 643 N.W.2d 639, 642-645 (Minn. Ct. App. 2002). The statute imposes liability on the owner where it would not otherwise exist, thereby giving an injured person more certainty of recovery by encouraging vehicle owners to obtain appropriate liability insurance coverage. Boatwright, 625 N.W.2d at 486. It is important to note that statutory vicarious liability can only be imposed on the “owner” of a motor vehicle. The definition of “owner” varies from state to state. In some states, a lessor ceases to be the “owner” in a “long-term” lease situation. In Minnesota, for example, the lessee under a lease of six months or more (a/k/a “long-term” lease) is deemed the “owner” of the vehicle for purposes of the owner liability statute. See Minn. Stat. § 65B.43, subd. 4 (“[i]f a motor vehicle is the subject of a lease having an initial term of six months or longer, the lessee shall be deemed the owner for the purposes of sections 65B.41 to 65B.71, and 169.09, subdivision 5a, notwithstanding the fact that the lessor retains title to the vehicle”). If the lease is for less than six months (a/k/a “short-term” lease), the vehicle owner continues to be the owner and, thus, remains subject to vicarious liability under the vehicle owner liability statute. Prior to the passage of the Graves Amendment in 2005, some of the twelve jurisdictions which imposed vicarious liability on vehicle owners enacted legislation to temper the result, at least with respect to companies engaged in the business of renting or leasing vehicles. In 1995, the Minnesota legislature enacted Minn. Stat. § 65B.49, subd. 5a(i) which capped vicarious liability with respect to “rented” vehicles. The statute provided in part: “[an] owner of a rented motor vehicle is not vicariously liable for legal damages resulting from the operation of the rented motor vehicle in an amount greater than $100,000 because of bodily injury to one person in any one accident and, subject to the limit for one person, $300,000 because of injury to two or more persons . . . if the owner of the rented motor vehicle has in effect, at the time of the accident, a policy of insurance or self-insurance . . . covering losses up to at least the amounts set forth in this paragraph.” Minn. Stat. § 65B.49, subd. 5a (i) (2). In 2005, Congress, in response to the effect of vicarious liability statutes on the leasing and rental car industry, inserted what is colloquially referred to as the Graves Amendment into the Transportation Equity Act of 2005 (49 USC § 30106). The legislation was initially sought by car dealer groups, who wanted to “eliminate vicarious liability.” Susan Lorde Martin, Commerce Clause Jurisprudence and the Graves Amendment: Implications for the Vicarious Liability of Car Leasing Companies, 18 U. FLA. J.L. & PUB. POL’Y 153, 154 (Aug.2007). The car lobbyists had been unsuccessful in repealing a New York state law imposing vicarious liability. The legislative history of the Graves Amendment is quite sparse. There were no committee hearings or reports to give meaning to the Graves Amendment. The entire substance of the Amendment’s legislative history is contained in three pages of floor debate in the Congressional Record immediately before the House voted on the Amendment. See generally 151 Cong. Rec. H1199–H1205 (daily ed. Mar. 9, 2005) (entirety of House debate and voting history); id. at H1201 (statement of Rep. Conyers) (“It is also important to note that the issue of preempting state liability is under the jurisdiction of the Committee on the Judiciary, of which I am the Ranking Member, and no hearings have been held to examine the appropriateness of the language which would be included in the legislation should the amendment pass. It is irresponsible to allow this provision to be debated on the House floor without a committee of jurisdiction’s careful review.”). See also, Luperon v. N. Jersey Truck Ctr., Inc., 2009 WL 1726340, at *5 n. 4 (S.D.N.Y. June 19, 2009) (noting that “[t]here were no hearings on the Amendment, and the only debate in the House of Representatives was all of twenty minutes long, immediately preceding the vote on the Amendment”). The history of the Amendment suggests that its intent was to protect rental and leasing companies from vicarious liability when their renters or lessees were involved in accidents. The Graves Amendment was an attempt to bring all states in line with the majority of states that did not impose vicarious liability on vehicle owners. In light of the inherently interstate nature of the vehicle renting and leasing business, Congress was of the view that a uniform, national standard was needed. The opening statement of the Amendment’s sponsor, Representative Graves, supports this conclusion. According to Representative Graves, “currently, a small number of States impose vicarious liability or limitless liability without fault, on companies and their affiliates simply because they own a vehicle involved in an accident. Whether or not the vehicle was at fault is completely irrelevant in these situations. These vicarious liability lawsuits cost consumers nationwide over $100 million annually. Vicarious liability laws apply where the accident occurs. It does not matter where the car or truck was rented or leased. Since companies cannot prevent their vehicles from being driven to a vicarious liability State, they cannot prevent their exposure to these laws and must raise their rates accordingly. These higher costs have driven many small companies out of business, reducing the consumer choice and competition that keeps costs down.” 151 Cong. Rec. H1200 (daily ed. Mar. 9, 2005) (statement of Rep. Graves). The Amendment’s co-sponsor made similar arguments, stating: “vicarious liability laws for rental cars in a handful of States drive up costs for consumers nationwide by an average of $100 million annually. These laws allow unlimited damages against companies that rent vehicles solely because the company owns the vehicle that is involved in the accident, not because the company has done anything wrong. These companies are not negligent, they are not at fault, they could have done nothing to have prevented the accident.”151 Cong. Rec. H1200 (daily ed. Mar. 9, 2005) (statement of Rep. Boucher). These statements indicate the Graves Amendment was concerned with the problem of (1) imposing liability based solely on ownership status, when (2) the commercial rental and leasing companies had no choice as to whom they rent their vehicles or into what state those vehicles were driven. As a result, rental and leasing companies found themselves vicariously liable for their renter’s or lessee’s negligence depending on whether the renter or lessee drove into one of the twelve jurisdictions that imposed vicarious liability on vehicle owners. See, Statement of Rep. Graves, 151 Cong. Rec. H1200 (daily ed. March 9, 2005) (“Since companies cannot prevent their vehicles from being driven to a vicarious liability state, they cannot prevent their exposure to these laws and must raise their rates accordingly. These higher costs have driven many small companies out of business, reducing the consumer choice and competition that keeps costs down.”); H. Rpt. 106-774, pt. 1, at 4 (“because rented or leased motor vehicles are frequently driven across state lines, these small number of vicarious liability laws impose a disproportionate and undue burden on interstate commerce by increasing rental rates for all customers across the Nation”). Ultimately, the Amendment was enacted to protect the vehicle rental and leasing industry against claims for vicarious liability where the leasing or rental company’s only relation to the claim was that it was the technical owner of the car. See, Statement of Rep. Graves, 151 Cong. Rec. H1200, 1034 (daily ed. March 9, 2005). The Graves Amendment is applicable to all actions “commenced on or after August 10, 2005 without regard to whether the harm that is the subject of the action, or the conduct that caused the harm, occurred before such date of enactment.” 49 U.S.C. § 30106(c). Given the clear language and purpose of the Amendment, numerous courts have found the Graves Amendment preempts state law imposing liability on vehicle owners engaged in the business of renting or leasing motor vehicles (absent a showing of negligence or criminal wrongdoing on the part of the owner) and is constitutional. See, e.g.,Windmill Distrib. Co. L.P. v. Hartford Fire Ins. Co., 449 F. App’x 81, 82 (2d Cir.2012); Carton v. Gen. Motor Acceptance Corp., 611 F.3d 451 (8th Cir.2010); Cates v. Hertz Corp., 347 F. App’x 2 (5th Cir.2009); Garcia v. Vanguard Car Rental USA, Inc., 540 F.3d 1242 (11th Cir.2008), cert. denied, 129 S. Ct. 1369, 173 L.Ed.2d 591 (2009); Rodriguez v. Testa, 296 Conn. 1, 993 A.2d 955 (Conn. 2010) (“we join the overwhelming majority of federal courts that have considered the question and concluded that the Amendment is constitutional”); Watson v. Majewski, 2011 WL 4944430 (E.D. Mich. Oct.18, 2011); Johnson v. XTRA Lease LLC, 2010 WL 706037 (N.D. Ill. 2010); Martin v. Crook, 2009 WL 2392077 (Iowa Ct. App. Aug. 6, 2009); Hagen v. U–Haul Co. of Tenn., 613 F.Supp.2d 986 (W.D.Tenn.2009); Kersey v. Hirano, 2009 WL 2151845 (D. Md. July 15, 2009); Green v. Toyota Motor Credit Corp, 605 F. Supp.2d 430 (E.D.N.Y.2009); Rein v. CAB East LLC, 2009 WL 1748905 (S.D.N.Y. June 22, 2009); Pacho v. Enterprise Rent–A–Car Co., 572 F.Supp.2d 341, 350 (S.D.N.Y.2008); Berkan v. Penske Truck Leasing Canada, Inc., 535 F.Supp.2d 341 (W.D.N.Y.2008); Jasman v. DTG Operations, Inc., 533 F.Supp.2d 753 (W.D. Mich. 2008); Stampolis v. Provident Auto Leasing Co., 586 F. Supp.2d 88 (E.D.N.Y.2008); Flagler v. Budget Rent A Car System, Inc., 538 F. Supp.2d 557 (E.D.N.Y.2008); Berkan v. Penske Truck Leasing Canada, Inc., 535 F. Supp.2d 341 (W.D.N.Y.2008); Jasman v. DTG Operations, Inc., 533 F. Supp.2d 753 (W.D.Mich.2008); Dolter v. Keene’s Transfer, Inc., 2008 WL 3010062 (S.D. Ill. Aug.2, 2008); West v. Enterprise Leasing Co., 997 So.2d 1196 (Fla. Ct. App. 2 Dist. 2008); Vargas v. Enter. Leasing Co., 993 So.2d 614 (Fla. 4th DCA 2008); Lucas v. Williams, 984 So.2d 580 (Fla. 1st DCA 2008); Kumarsingh v. PV Holding Corp., 983 So.2d 599 (Fla. 3d DCA), review denied, 984 So.2d 519 (Fla.2008) (table); Bechina v. Enterprise Leasing Co., 972 So.2d 925 (Fla. 3d DCA 2007); Dupuis v. Vanguard Car Rental USA, Inc., 510 F. Supp.2d 980 (M.D.Fla.2007); Seymour v. Penske Truck Leasing Co., L.P., 2007 WL 2212609 (S.D. Ga. July 30, 2007); Jones v. Bill, 34 A.D.3d 741, 825 N.Y.S.2d 508 (N.Y.A.D. 2 Dept. 2006). Contra Vanguard Car Rental USA, Inc. v. Huchon, 532 F. Sup.2d 1371 (S.D.Fla.2007) (holding Graves Amendment unconstitutional); Vanguard Car Rental USA, Inc. v. Drouin, 521 F. Sup.2d 1343 (S.D.Fla.2007) (finding amendment unconstitutional). Courts determining the constitutionality of the Graves Amendment generally concluded that Congress may regulate under its commerce power because car rental companies are “instrumentalities of, and things in, interstate commerce” and should not be subjected to state by state regulatory regimes that can dramatically burden their operations even if only on an intrastate basis. They also have concluded that “vicarious liability laws may, in the aggregate, adversely affect the motor vehicle leasing market.” Green v. Toyota Motor Credit Corp, 605 F. Supp. 430 at 435. This is because leasing companies could cease doing business in states with vicarious liability laws or increase the cost of leasing cars to consumers in those and other states. Green, at 435–36. In 2010, in Meyer v. Nwokedi, 777 N.W.2d 218 (Minn. 2010), the Minnesota Supreme Court followed the lead of the vast majority of jurisdictions in holding the Graves Amendment preempted state vicarious liability laws which imposed liability on the owner of rented and leased motor vehicles such as Minn. Stat. § 169.09. The statute does not define the trade or business of “renting or leasing motor vehicles,” or its constituent terms “renting” and “leasing.” However, the consistent and established understanding of the term “leasing” is the transfer of the right to possession and use of goods for a term in return for consideration. See UCC 2–A–103(j). The central distinguishing characteristic of a lease is the surrender of absolute possession and control of property to another party for an agreed-upon rent. See Black’s Law Dictionary (8th Ed. 2004) (“[t]o grant the possession and use of (land, buildings, rooms, movable property, etc.) to another in return for rent or other consideration”). The term “rent,” when used as a noun, means the “[c]onsideration paid, usu. periodically, for the use and occupancy of property (esp. real property).” Black’s Law Dictionary (8th Ed. 2004). When used as verbs, the words “lease” and “rent” are generally synonymous. See e.g., Zizersky v. Life Quality Motor Sales, Inc., 21 Misc.3d 871, 878, 866 N.Y.S.2d 501 (Sup. Ct., Kings County 2008). It is important to recognize that while the Graves Amendment insulates the leasing or rental company from vicarious liability based on its ownership of the involved vehicle, it does not absolve them from liability for their independent negligence. See 49 U.S.C. § 30106(a) (2) (there must be “no negligence or criminal wrongdoing on the part of the owner . . .”). In the absence of any independent negligence contributing to the accident, the leasing or rental company is not liable to a person injured by the vehicle. The most frequently asserted negligence claim against leasing and rental companies is negligent maintenance. A claim based upon negligent maintenance is not barred by the Graves Amendment because the statute does not absolve leasing companies of their own negligence. See Collazo v. MTA–New York City Tr., 74 A.D.3d 642, 905 N.Y.S.2d 30 (2010). Courts have expressed concern that plaintiffs can defeat the spirit of Section 30106 on a motion to dismiss by merely alleging that the leasing company was negligent in maintaining the vehicle. A boiler-plate failure to maintain allegation contained in a complaint pertaining to a motor vehicle accident should not be used as a means to avoid Congress’ clear intent in enacting the Graves Amendment to forestall suits against vehicle rental and leasing companies. See e.g., Johnson v. Alamo Fin., L.P., 2009 WL 4015572 at*2 (M.D. Fla. Nov. 19, 2009); Colon v. Bernabe, 2007 WL 2068093 at *5 (S.D. N.Y. July 19, 2007)). Accordingly, it has been held that while the express language of Section 30106(a) (2) creates an exception to the Graves Amendment, “it is rarely applicable and should be cautiously applied in light of Congress; clear intent to forestall suits against vehicle leasing companies.” Carton v. General Motors Acceptance Corp., 639 F.Supp.2d 982, 996 (N.D. Iowa 2009), affirmed 611 F.3d 451 (8th Cir. Iowa 2010) (citing Dubose v. Transport Enterprise Leasing, LLC, 2009 WL 210724, at *14 (M.D. Fla. Jan. 27, 2009). In Moreau v. Josaphat, 42 Misc. 3d 345, 975 N.Y.S.2d 851 (N.Y. Sup. Ct. 2013), the court held the defendant lessor had made a prima facie showing that they were entitled to summary judgment dismissing plaintiffs’ vicarious liability cause of action where it submitted evidence that no complaint or issues were brought to its attention with regard to maintenance or operation of the vehicle during the time the vehicle was in its possession through the date of the subject accident, it conducted a regularly scheduled maintenance program and regular service and maintenance was performed on the subject vehicle. Moreover, there was no evidence suggesting that a maintenance issue or mechanical failure caused or contributed to the subject accident. In Vedder v. Cox, 18 Misc.3d 1142[A], 2008 WL 595857 (Sup. Ct., Nassau County 2008), a motion to dismiss based upon the Graves Amendment granted where, among other things, the defendant’s loss control manager stated that she had searched the maintenance records for the subject vehicle, found that no maintenance or repairs had been performed, that there had been no complaints from renters, and that the vehicle had been inspected for damages and performance problems between rentals. Absent some evidence of a lessor’s failure to properly maintain a vehicle which it has expressly agreed to maintain pursuant to a lease agreement, or some similar active negligence on the part of the lessor, the conclusion reached by these courts is that § 30106(a) (2) is rarely applicable and should be cautiously applied in light of Congress’ clear intent to forestall suits against vehicle leasing companies. Indeed, unless a State specifically imposes a legal duty on lessors to ensure that their lessees maintain adequate insurance or to ensure that their lessees have adequate driving records, § 30106(a)(2) only appears to apply to claims predicated on criminal wrongdoing and negligent maintenance claims — not claims of negligent entrustment. The Eighth Circuit Court of Appeals disagreed with the Dubose interpretation. In Carton v. General Motor Acceptance Corp., 611 F.3d 451, 456-458 (8th Cir. 2010), the Eighth Circuit concluded thought that interpretation – which limited the term “negligent’ to claims of “negligent maintenance” and not claims “negligent entrustment” – was too narrow. The court noted that the term “negligence” as used in the Graves Amendment “is a broad term, and nothing indicated that the term “negligence” should be construed narrowly to exclude (i.e., save) only claims for negligent maintenance. “Financial responsibility,” as used in the savings clause, is not defined by 49 U.S.C. § 30106(d) or 49 U.S.C. § 30102 (2006) (both providing definitions for the Graves Amendment). 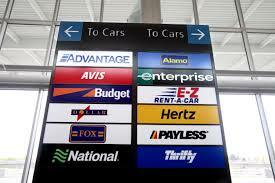 However, in Garcia v. Vanguard Car Rental USA, Inc., 540 F.3d 1242 (11th Cir.2008), cert. denied, 555 U.S. 1174, 129 S. Ct. 1369, 173 L.Ed.2d 591 (2009), the Eleventh Circuit Court of Appeals interpreted the meaning of the phrase “financial responsibility” in the Graves Amendment to determine whether a Florida wrongful death action was preempted. The court concluded that Congress “used the term ‘financial responsibility law[s]’ to denote state laws which impose insurance-like requirements on owners or operators of motor vehicles.” Garcia, 540 F.3d at 1244. Other courts have followed Garcia and likewise concluded that “financial responsibility” laws are laws that impose insurance like requirements on motor vehicle owners. See e.g., Rodriguez v. Testa, 296 Conn. 1, 993 A.2d 955 (2010) (“we agree with the well-reasoned analysis in Garcia and with that court’s conclusion that the ‘financial responsibility or liability insurance requirements’ to which the savings clause refers consist of insurance like requirements imposed on business entities engaged in the trade or business of renting or leasing motor vehicles”); Meyer v. Nwokedi, 777 N.W.2d 218, 224 (Minn. 2010) (“[w]e agree with Garcia and conclude that “financial responsibility” refers to insurance-like requirements under state law”); West v. Enterprise Leasing Co., 997 So.2d 1196, 1197–98 (Fla. Ct. App. 2008) (same). The court in Garcia outlined the types of state laws not subject to preemption under the Graves Amendment – i.e., those falling within the savings clause. They include those which require liability insurance or its equivalent as a condition of licensing or registration, or which impose such a requirement after an accident or unpaid judgment. Garcia v. Vanguard Car Rental USA, Inc., 540 F.3d at 1249 (citing 49 U.S.C. § 30106(b)(1) (2006)). States may also suspend the license and registration of, or otherwise penalize, a car owner who fails to meet the requirement, or who fails to pay a judgment resulting from a collision. Garcia, at 1249 (citing 49 U.S.C. § 30106(b)(2) (2006)). However, states may not impose such judgments against rental or leasing companies based on the negligence of their lessees. Garcia, at 1249 (citing 49 U.S.C. § 30106(a) (2006)). In a few cases, plaintiffs have argued that state law caps on vicarious liability of rental car companies fall within the savings clause such that the Graves Amendment’s preemption of all vicarious liability did not apply. In Garcia, the court interpreted a Florida statute and held that state statutes which allow vehicle owners to avoid unlimited vicarious liability by obtaining higher levels of liability insurance, do not fall within the savings clause because they do not impose an affirmative duty on the vehicle owner to obtain such coverage. Garcia, at 1248 (rejecting the argument that the Graves Amendment distinguishes between limited and unlimited vicarious liability statutes: “[t]he distinction Congress drew is between liability based on the companies’ own negligence and that of their lessees, not between limited and unlimited vicarious liability”). See also, Rodriguez v. Testa, 296 Conn. 1, 993 A.2d 955 (2010) (applying Garcia and holding Conn. Gen. Stat. § 14–154a (b)(1) “does not impose an insurance requirement on the owners of rented or leased vehicles but presents them with an option to choose additional coverage if they seek to avoid vicarious liability”); Rahaman v. Falconer, 2009 WL 1958508, at *6 (Conn.Super.Ct. June 9, 2009) (unpublished opinion) (Connecticut’s vicarious-liability cap statute neither compels liability insurance nor imposes liability for failure to meet “liability insurance requirements”). In Meyer v. Nwokedi, 777 N.W.2d at 224 (Minn. 2010), the Minnesota Supreme Court followed Garcia and concluded that Minn. Stat. § 65B.49, subd. 5a (i)) did not fall within savings clause because nothing in the statute required rental vehicle owners to maintain the higher levels of liability insurance designated in the statute. Notwithstanding section 169.09, subdivision 5a, an owner of a rented motor vehicle is not vicariously liable for legal damages resulting from the operation of the rented motor vehicle in an amount greater than $100,000 because of bodily injury to one person in any one accident and, subject to the limit for one person, $300,000 because of injury to two or more persons in any one accident, and $50,000 because of injury to or destruction of property of others in any one accident, if the owner of the rented motor vehicle has in effect, at the time of the accident, a policy of insurance or self-insurance, as provided in section 65B.48, subdivision 3, covering losses up to at least the amounts set forth in this paragraph. Nothing in this paragraph alters or affects the obligations of an owner of a rented motor vehicle to comply with the requirements of compulsory insurance through a policy of insurance as provided in section 65B.48, subdivision 2, or through self-insurance as provided in section 65B.48, subdivision 3, which policy of insurance or self-insurance must apply whenever the operator is not covered by a plan of reparation security as provided under paragraph (a); or with the obligations arising from section 72A.125 for products that are sold in conjunction with the rental of a motor vehicle. Nothing in this paragraph alters or affects liability, other than vicarious liability, of an owner of a rented motor vehicle. In summary, we conclude that Minn. Stat. § 65B.49, subd. 5a(i)(2), does not set forth “liability insurance requirements” applicable to rental-vehicle owners and does not impose liability on rental-vehicle owners for failure to meet insurance-like requirements or liability insurance requirements within the meaning of the (b)(2) savings clause. Rather, Minn.Stat. § 65B.49, subd. 5a(i)(2), offers rental-vehicle owners an opportunity to limit their exposure to vicarious liability claims by providing insurance in the amounts of $100,000 per person and $300,000 per accident. Therefore, Meyer’s vicarious liability claim, which is predicated on Minn.Stat. § 65B.49, subd. 5a(i)(2), is preempted by the Graves Amendment. In the typical Graves Amendment case — where the vehicle’s owner and operator are related only by an arm’s length contract – the outcome is fairly simple. Under the Graves Amendment, the vehicle owner is not liable to the injured claimant so long as (1) the owner’s business is leasing or renting vehicles; and (2) the owner was not negligent. Subsequent posts will address more unique issues such as whether the Amendment preempts vicarious liability against affiliates, owners of loaner vehicles, taxicabs, car sharing membership companies as well as the impact of the Amendment on self-insurance and drop-down liability limit arrangements. This blog is for informational purposes only. By reading it, no attorney-client relationship is formed. The law is constantly changing and if you want legal advice, please consult an attorney. Gregory J. Johnson © All rights reserved. 2014. This entry was posted in ADCF Policy, Auto Dealer, BAP, Coverage, PAP, Rentals and tagged Graves Amendment, Motor vehicle, Vicarious liability. Bookmark the permalink.